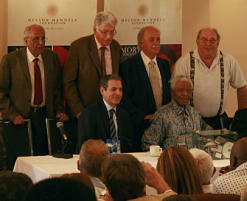 Former president Nelson Mandela (front right) with Time managing editor Richard Stengel (front left) who collaborated with Mandela on his autobiography. 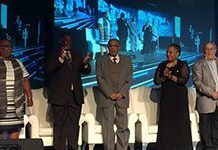 At the back, from left to right, stand struggle comrages Ahmed Kathrada, Arthur Chaskalson, George Bizos and Denis Goldberg. 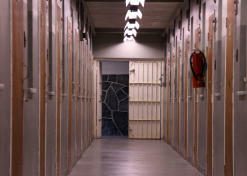 A film set of the Robben Island B block corridor, part of the film, currently in production, that’s based on Long Walk to Freedom. On 7 November 1962, Nelson Mandela was convicted and sentenced to five years in prison for leaving the country illegally and inciting workers to strike. After 17 months underground, the man dubbed “the Black Pimpernel” by the media was arrested at a roadblock on Sunday, 5 August 1962. During this time he had spent about seven months abroad. His clandestine trip took in visits to more than a dozen African countries and England, and aimed to raise support and money for Umkhonto we Sizwe, the newly-formed armed wing of the African National Congress, and to secure military training for himself. Mandela was charged, convicted and sentenced within three months of his arrest. The charge of leaving the country illegally, without a passport was related to his clandestine trip, which he began through Botswana on 11 January 1962. 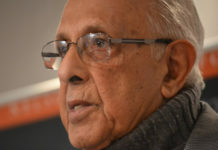 He underwent two periods of military training: one in March 1962, with the National Liberation Front in Algeria at its base in Oujda, Morocco, and the second in June 1962 at the Rapid Reaction Force of the Ethiopian Police – also known as Kolfe – about 8km outside Addis Ababa. In his acclaimed autobiography Long Walk to Freedom, Mandela calls it the headquarters of the Ethiopia Riot Battalion. The charge of incitement related to his role in organising a strike for 29, 30 and 31 May 1962, against South Africa becoming a republic. He was sentenced by Mr WA van Helsdingen of the Special Regional Court in the Old Synagogue in Pretoria to three years for incitement and to two years for leaving the country illegally. Contrary to popular opinion Mr Mandela was not immediately sent to Robben Island. In fact, he served the first seven months of his sentence in Pretoria Local Prison. 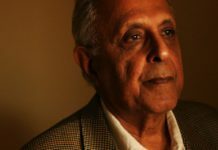 He only went to Robben Island in May 1963, but was suddenly transferred back to Pretoria in mid-June 1963, two weeks before the raid on Liliesleaf Farm in Rivonia netted his comrades. Together with them, and other comrades arrested elsewhere, he was put on trial later that year for sabotage. 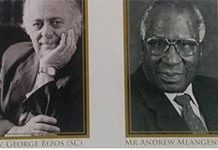 On 12 June 1964, at the end of the Rivonia Trial, Mandela, Walter Sisulu, Ahmed Kathrada, Govan Mbeki, Denis Goldberg, Raymond Mhlaba, Andrew Mlangeni and Elias Motsoaledi were sentenced to life imprisonment. While Mandela’s 27-and-a-half years in prison is calculated from his arrest on 5 August 1962, as he was in custody from then until his release on 11 February 1990, his first conviction for which he had to serve a prison sentence was on 7 November 1962. To mark this less highlighted, but important trial, the Nelson Mandela Centre of Memory plans to launch an exhibition on it when the centre’s refurbished building is formally opened to the public in mid-2013. The Nelson Mandela Foundation building in Houghton, Johannesburg, which houses Mr Mandela’s post-presidential office, is undergoing extensive refurbishment to repurpose it into an archive and dialogue facility. This marks the final phase of a five-year transition, which will see the building turned into a public facility in mid-2013. Bob Hepple was one of Mandela’s underground support team and his legal adviser during his 1962 trial. 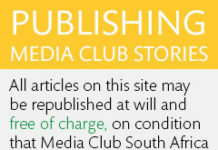 Click here to download an edited extract (PDF, 132KB) from his book Young Man with a Red Tie: A memoir of Mandela and the failed revolution 1960-63, to be published in 2013, in which he portrays the character of the man who defied white “justice”.